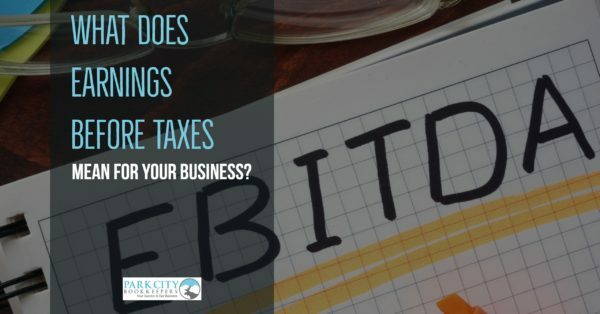 Earnings before taxes (EBT), also known as profit before taxes, is an accounting metric that measures the amount of profit a business makes before taxes and interest payments on debts (where applicable) are deducted. So what does earning before taxes mean for your business? EBT is typically found on the income statement (profit, trading and loss statement), and is calculated first by deducting the cost of goods sold (COGS) from revenue, which gives a figure called gross profit. The general expenses of the business are then deducted from gross profit, giving the figure for earnings before tax or earnings before interest and tax (if the business has taken out any loans). Step 1: The cost of goods sold is deducted from the total revenue of the business. Cost of goods sold will typically include figures such as cost price of the goods or manufacturing cost where applicable, cost of transportation, and other costs that are directly incurred in the main commercial activities of the business. Subtracting the cost of goods sold from the revenue provides a broad figure that shows the profitability of the business’s core profit-making activities. Step 2: She total expenses occurring in the day-to-day running of the business must be subtracted from the gross profit and this is what gives the earnings before taxes figure. These expenses are those which are necessary for the business to maintain operations but are not directly incurred in the production of goods and services. Examples are utilities such as pre-paid electricity bills or pre-paid rent. The earnings before taxes figure shows the profitability of the business model employed by the business entity and shows whether the business can make a profit with its current operations. Why Earnings Before Taxes are Important? You might wonder why earnings before tax are important. Since interest and tax will eventually be deducted, why not simply include interest and tax as expenses and arrive at the final figure straightaway? The EBT figure is not calculated by big companies merely to fulfill check mark an accounting step, and it is actually significant, especially for investment analysts and credit risk assessors. Your company’s EBT will provide investment analysts with the requisite information for evaluating its operating performance without looking at the tax implications: the point here is simply to gain an understanding of whether or not the business model is effective. Earnings before taxes is useful in minimizing a variable which might differ for different companies, so as to focus all of the analysis on operating profitability as an indicator of the efficacy of the business model. This type of analysis is very important, especially when comparing two companies from different industries or when attempting an objective analysis of two companies which operate in different states, given the fact that tax rates differ in various states. As mentioned earlier, the EBT figure is extremely important when it comes to investment analysis, but its use also extends to other financial procedures such credit risk analysis. You may not be looking to sell your business or attract any direct investment, but if you want to acquire financing in the form of a loan, every financial institution will need to perform credit risk analysis, and the major focus will be on your EBT figure. #1. When a business applies for a loan or credit facility, the lender must examine the EBT to ascertain that the loan can be repaid. The EBT is the prime indicator of a business’ ability to repay a loan. #2. Banks and other financial institutions also need to know that your obligation to repay your loan will not eat into your operating profits, harming the business and potentially hindering your capacity to repay the loan. #1. The company may struggle to qualify for a loan. Financial institutions will also check to see just how much profit a business is making in order to decide on whether or not it qualifies for financing. A low EBT means that a business would probably have to use its operating profits to meet loan repayments, which in turn can lead the business into deeper financial distress. #2. Any shocks to the economy or market may lead to bankruptcy. With a low EBT, a business entity will face the risk of potentially falling below break-even in the event of a shock to the economy or industry. #3. Limited growth potential. A low EBT puts a business in an unhealthy financial position that threatens its ability to reinvest and grow. This is an unhealthy financial situation that also prevents the business from effectively reinvesting its earnings in growth, potentially harming its ability to compete with other firms. What to do if your business has a low EBT? a. If low EBT is due to high cost of goods sold, re-evaluate your value chain and business processes to eliminate any sources of waste. Perhaps you could use cheaper goods or outsource some services. b. If low EBT is due to disproportionately high expenses, the process is the same – identify the leakages in your operations and cut down any unnecessary expenses. c. You might find that your costs of goods sold and expenses are generally in line with the industry standards, and in this case if your EBT is still low, it might just mean that your marginal profits are too low and you should increase prices. It is clear that earnings before taxes is an important figure for any business. Park City Bookkeepers offers consulting services where we can help you understand your business’ financial health for better-informed decisions. Feel free to contact us via the details below for a free consultancy.